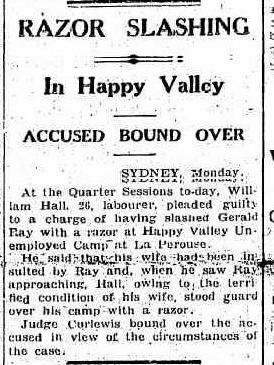 HAPPY VALLEY was a SHANTYTOWN in SYDNEY during the depression years of the 20th Century. 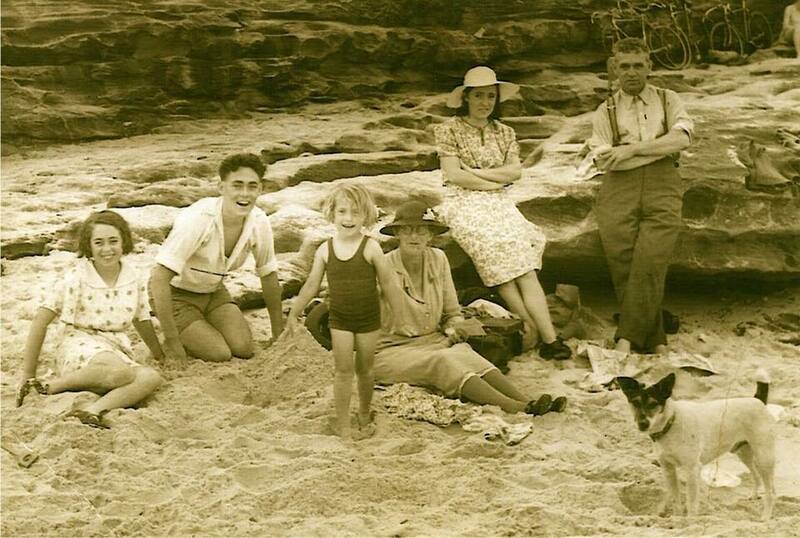 Peter has a heritage which involves SHANYTOWN and Lynne’s family has an history in ROSEBERY and MAROUBRA. Further information on SHANYTOWN – aka HAPPY VALLEY – seems hard to come by. The NLAs provide some glimpses as does WAVERLEY COUNCIL SITE. 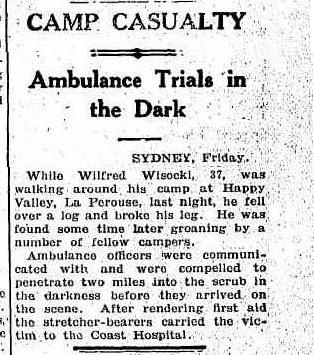 The Canberra Times Tuesday 7 July 1931, page 1. 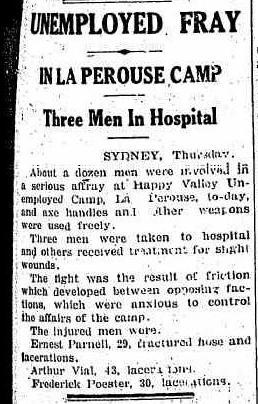 CYCLONIC STORMS HIT THE UNEMPLOYED CAMP AT LA PEROUSE.